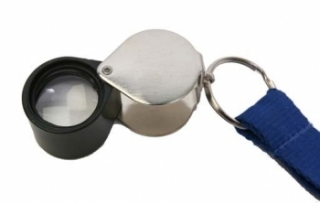 7 Power (7X) foldable eye lens on a 36 inch lanyard. 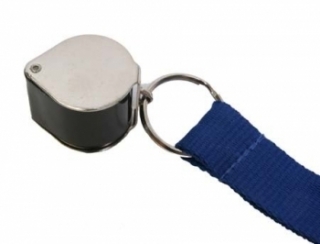 Eye lens has a swing-away nickel plated case that protects it and serves as a handle. Lens is a high quality Hastings Triplet magnifier. 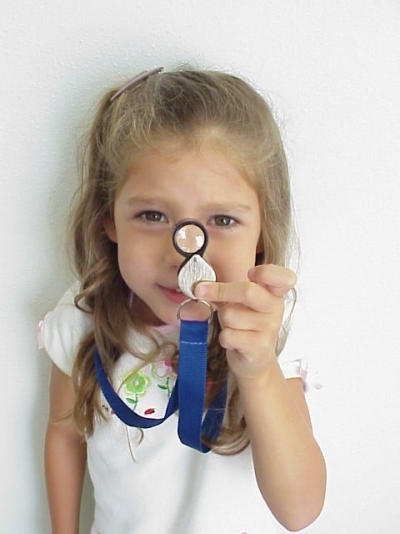 Lanyard slips easily over the neck of the user to keep from loosing magnifier in the field. Easily slides over your neck.